• Erodes part of dovish FOMC minutes-led upsurge. • Thin liquidity conditions prompt some profit-taking. Gold prices edged lower through the early European session on Thursday and eroded part of previous session's strong up-move. The precious metal recovered majority of its weekly losses and jumped back to $1295 supply zone on Wednesday following a dovish assessment of the FOMC meeting minutes, which revealed policymakers' concerns over stubbornly low inflationary pressure. The minutes reaffirmed that interest rates will have to be raised in the near-term but casted doubts over the pace of rate increases in 2018. 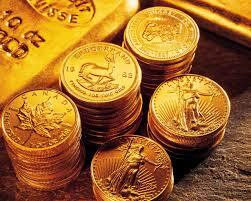 The dovish outlook triggered a broad-based US Dollar sell-off and benefitted dollar-denominated commodities - like gold. The yellow metal, however, failed to extend the momentum further beyond its immediate strong hurdle as investors now seemed inclined to take some profits off the table as we head into Thanksgiving holiday in the US. It would now be interesting to see if the commodity is able to break through the mentioned barrier or continues with its profit-taking slide amid relatively thin liquidity conditions. A follow-through retracement is likely to find support near $1285-84 zone, below which the metal could drift back to $1282-81 intermediate support (100-day SMA) en-route $1276 level. On the upside, $1295-96 area remains immediate strong resistance, which if conquered could lift the commodity towards $1300 handle ahead of the next hurdle near the $1306 region.